In going to the modern reinstitution of the Dharmakāya playing a leading role in Theravada Buddhist philosophy and practice, there is a man accredited to contributing the most. His name is Luang Pu Sodt Jantasaro. 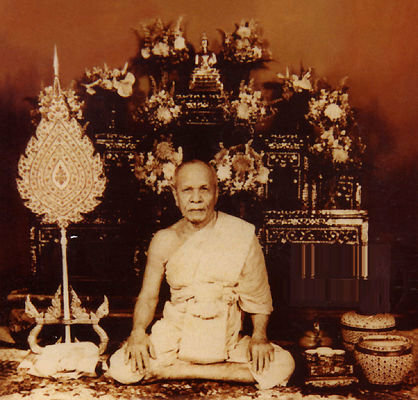 Another name he is known by is, Luang Por Wat Pak Nam. หลวงปู่ 'Luang Pu' is used in Thai when referring to an elder monk. It literally means "Venerable Grandfather". หลวงพ่อ 'Luang Por' is used in Thai when referring to a middle-aged monk and literally means "Venerable Father". วัด 'Wat' is the word for "Temple". The name of the temple where Luang Pu was Abbot and established himself as a master teacher and practitioner of Dharma is วัดปากน้ำ 'Wat Paknam', or "Temple of the River's Mouth". The temple is located on the outskirts of western Bangkok where many canals are interwoven. It is situated near a larger offshoot canal of the famous เจ้าพระยา 'Chao-Phraya' river of Bangkok. This large river is dubbed the "River of Life" as, in the olden days, it supplied Bangkok with goods from upcountry, via the country's long river trade routes. The temple was located next to a convergence in the canal, which was convenient for deliveries and trading supplies. This was especially important during World War 2. For those wishing to learn more about Luang Pu, I have some recommended reading should you be able to get a hold of it. The link posted here is the older version of the book. Still, it is worth a read. There are countless stories of Luang Pu. He was / is a master of meditation. Proficient in the Pali language and an adamant teacher, he was gifted in the art of giving Dharma sermons. This is not as easy as it sounds, especially back in Luang Pu's time. There is a formal protocol and vocabulary used by teaching monks and nuns in old Thailand. This tradition still holds some root in the Isaan - Northeastern - provinces of Thailand. He oversaw all the logistics and inner-functionings of a vibrant temple that became one of the most populated of its time. He established a school for the study of Pali language and Buddhist scripture, and began to storehouse scripture and texts for students to study. However, one of the things that intrigues me most about Luang Pu is that he started something called the โรงงานทำวิชชา 'Meditation Workshop' at Wat Pak Nam. In this workshop, there was a constantly rotating group of four meditation teams. Each team alternated between a four-hour shift on, then a four-hour shifts 'off'; three times per day. The nuns had two teams, as did the monks. During World War 2, the shifts went up to six hours on and six hours off, twice daily. In order to pass the exams to become part of the A-Team, one had to give answers to questions that could not possibly be answered using a logical, analytical mind. For example: "How many rain drops were there in the last thunderstorm that passed over the temple? ", "What were those two birds perched on that branch saying to one another?"....etc. Many miraculous and fable-like tales circle around the 'Meditation Workshop'. When reflecting on Luang Pu's life, I am dumb-founded at how he did it all. He ran the temple, performed ceremonies, went on the daily alms-round, gave sermons, entertained guests, oversaw the Pali school, saw to the integrity of the temple resident's behavior, and still lead most of the meditation sessions in the 'Meditation Workshop'. That in itself is a miracle. I remember when I was going on my rounds about Thailand searching for a temple to hunker down in and spend some serious time practicing meditation. I ended up at Wat Mahathat, a famous royal temple in Bangkok, mainly because it had an international section. While there, I found a book that listed various leading meditation temples in Thailand. That book lead me to Wat Paknam. The first time I walked up the dark wood shiny staircase to the upper-level floor which, to this day, cradles the gold-painted casket of Luang Pu, I had a strange experience. It was something to the effect of a 'deja-vu' mixed with a unique kind of glow and gratitude. There was thanksgiving in the newfound knowledge that I had found someone I had lost somehow, and had been subtly searching for my whole life. It is common for spiritual students to experience a similar, personalized sensation when they find their 'teacher'. I suppose I am no different. The image of Harry Potter grasping his chosen wand at Ollivander's before starting Hogwarts comes to mind. Still mixed between leaving or deleting that last sentence, but there you are. One of the most decorated warriors to ever walk into the 'Meditation Workshop' was a woman commonly known as 'Khun Yai Ajarn'. Her full name in Chandra Khonnokyoong, meaning "Moon Peacock-feather". She was given the title 'Second to None' by Luang Pu. That in itself says a lot. Luang Pu supposedly did not dish out compliments. And he only gave her that one once. That was enough. One of the reasons I suspect she was given this title is due to her sincere dedication to the practice of meditation. She was always the first to arrive and the last to leave. She just loved meditation. And it paid off. Why? Well, Khun Yai was illiterate you see. It's said she could not even read or write her name. Yet, when the foremost Pali and Dharma scholars came to ask her questions about the Abhidharma, the 'higher doctrine' of Buddhist scripture, she could explain the scriptural subject matter at hand in full detail . Not only that, she could answer their most complex questions and conundrums with the greatest of ease. 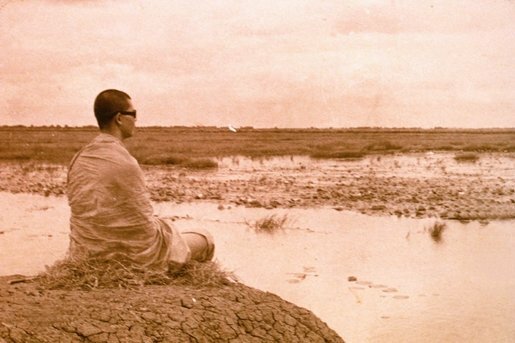 They were floored at this extra-ordinary capability of Khun Yai, as there would be no way for her to so lucidly and correctly answer these questions unless she had indeed attained Dharma within. How freakin' awesome is that? It's like have the ultimate resource to the whole universe within you! Wait, there's more. Long story short, Khun Yai became her team's leader. There wasn't any question she could not answer, no matter how far fetched it seemed. This continued. During the Japanese bomb raids on Bangkok, Wat Pak Nam became a refuge. It seemed that the temple area always stayed unaffected and unscathed by the raids. One particular night, report has it that as planes were seen in the sky dropping bombs, citizens of Bangkok close to the temple looked up only to behold nuns floating in the sky and taking the falling bombs away, midair, to place them in the river. In the next issue of 'The Vipassana Rejoicing Magazine' article, pictured left, there was report and eye-witnesses to the event. 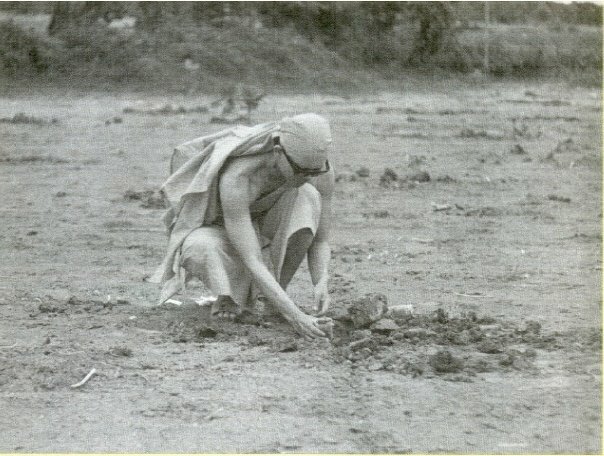 Khun Yai was one of those nuns. Yet there wasn't just one Khun Yai, there were hundreds! So the story goes anyways. Believing this or not, an interesting side story came up a few years ago in 2010. I was in New York talking to my first Buddhist teacher Trulku Thupten Kalsang Rahob Rinpoche who was an ordained monk in Thailand for 10 years in the 1960's. He had heard of Khun Yai Ajarn and regarded her with immense respect and reverence. He knew of her fame not just as a miracle worker, but for her unique adeptness in using Dharmakāya meditation to miraculously heal people. It was in the 'Meditation Workshop' that she learned to heal people of cancers, conditions that doctors could not find the answer to, various terminal ailments, diseases big and small, etc. This indeed was another one of her special skills. She was / is a prolific healer. After Luang Pu's passing in 1959, she was given the task of waiting for his heir to come to Wat Paknam so that she could begin instructing the new heir. I actually met with both of the two oldest surviving (as of 2010) nuns who still keep the 'Meditation Workshop' running to this day. One of them was present when Luang Pu gave that order to Khun Yai. It was to be Khun Yai's task to train the new heir, and build a new great temple to the north of Bangkok. 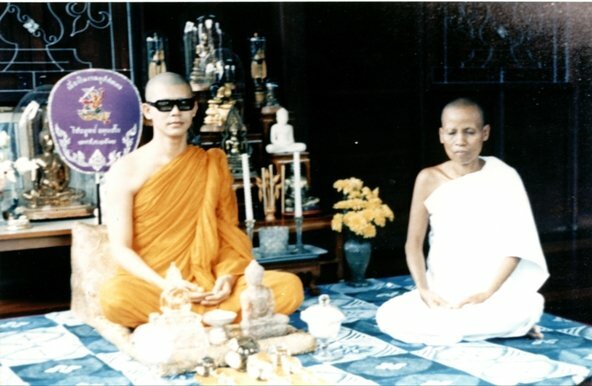 Supposedly both Luang Pu and Khun Yai had gone to a certain unique place in the cosmos to invite a special being to incarnate in order to succeed Luang Pu and keep the teachings alive. 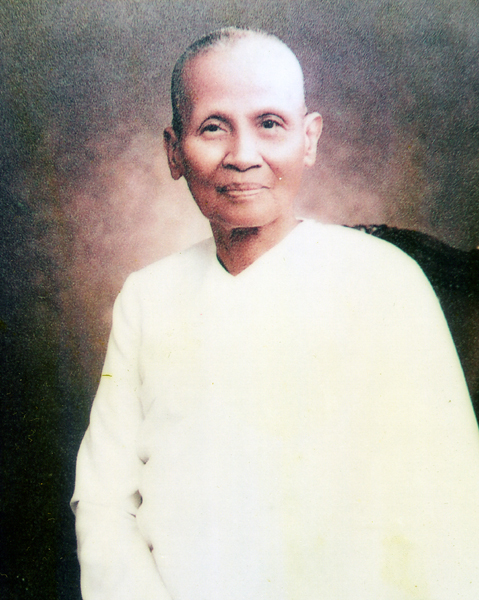 Khun Yai waited at Wat Paknam and taught meditation in the meantime. Something that Khun Yai would frequently recall as one of her proudest moments was when she was able to meet her father again after his death. Actually, the event of her father dying before she could ask for his forgiveness for a previous misunderstanding while he was still alive is what spawned such a fearsome drawl for Khun Yai to learn meditation. She wanted to see if heaven and hell existed and if she could find her father to ask for his forgiveness. Khun Yai said that it wasn't until she attained the Dharmakāya and gained proficiency in using it that she was able to journey to see where her father's new residence was. She found him. Let me take a moment to add something here. This topic has some serious connotations to it. The existence of a heaven(s) and hell(s) is one of the most debatable topics in the world. I think it is best to put all the western, dogmatic-christian connotations and conceptions around the subject of heaven, hell, and damnation aside when discussing this topic here. That is not easy for us westerners as there is such a strong cultural pull to link those concepts together. Just so you know, Buddhist and Hindu cosmology have heavens and hells as well. The point that I'm making here is that an illiterate woman from a very poor upbringing, through her own efforts and path to purity, was able to answer these questions for herself, by herself. Not by depending on what a 'book' says or because someone else talked about it and she listened. She would openly discuss what her experiences were like, the feeling and vibes, the geography, the sights and smell, etc. For her it was like traveling to see what Vegas or San Francisco are like. Just, these 'cities' are located in different parts of the universe. Only once you get there would you know and experience what it's like to be there. But just because you haven't been there yet doesn't mean it does not exist. Khun Yai's favorite story, so her disciples have told me, was about how she was able to help her father get out of hell and continue his resting in heaven. I'll leave it there at that. 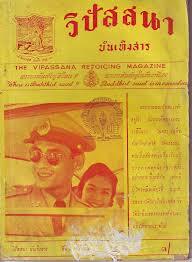 In the early 1960's a strapping young lad with dark sunglasses came to meet Khun Yai at Wat Paknam. She recognized who he was at once, and her years of waiting were over. 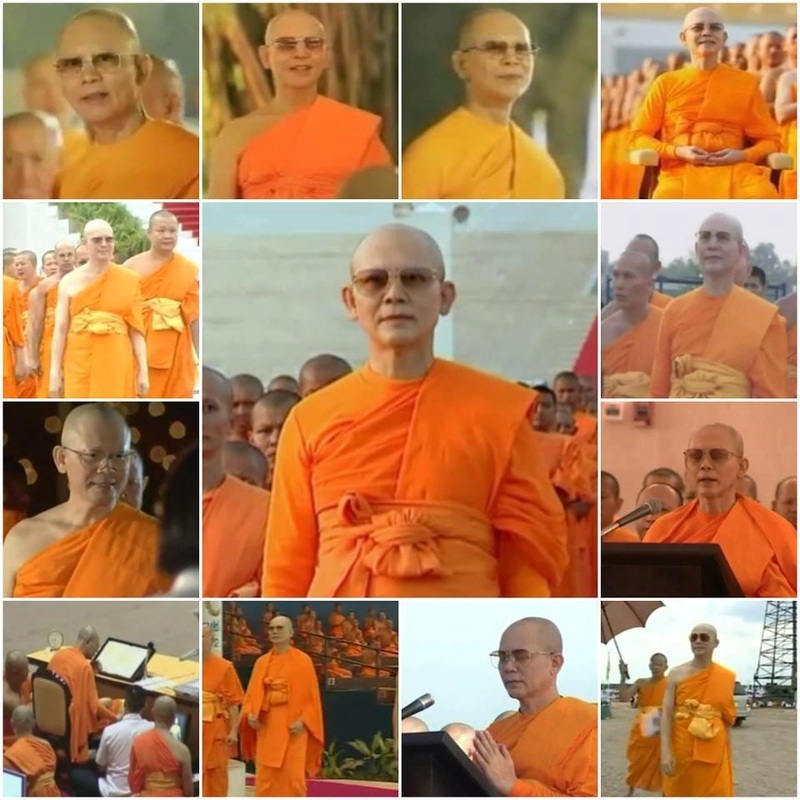 After finishing college and a few years of training under Khun Yai, Mr. Chaibul Sutthipol ordained on the 27th of August, 1969 and was given the monastic name 'Dhammajayo', "He who Conquers with / using Dharma". Luang Por is one of the most spiritually potent and vibrant beings I have ever had the grace to meet. He is gentle, witty, present, encompassing, expansive, and endearing. Yet he is powerful, piercing through deception, wise, brave, decisive, confident, and grounding. He is an amazing teacher, the best I have ever seen in action. He knows how to connect, on the deepest level, with his audience and meet them where they need to be met both individually and also as an entire audience together, all while upholding everyone to their highest potential. He embodies a harmonious blend of father and mother energies. If you ever get a chance to be around him, up close, you'll know what it means to be in the presence of someone who is a living spiritual legend. And worthy of every single bit of it.